Since we were little kids we accepted the image of dolphin as a good and friendly creature that lives in the sea. It is very intelligent and likes humans. 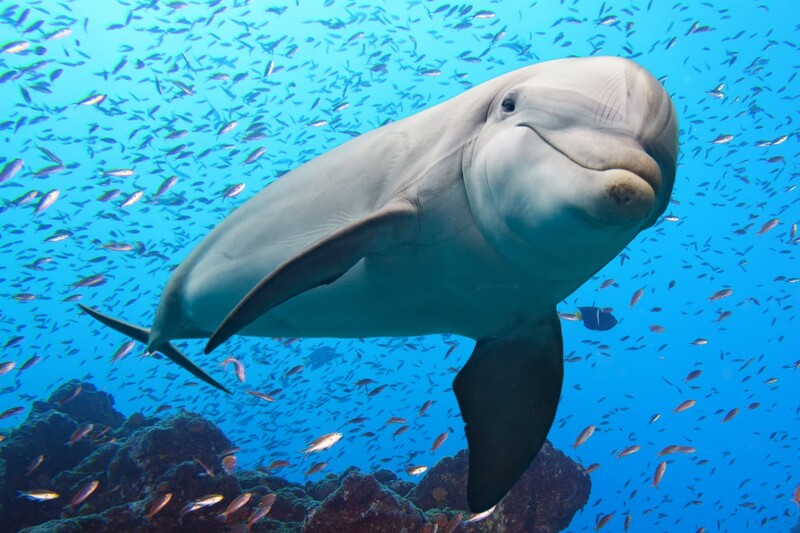 Most likely dolphins would help humans in case of an attack by unfriendly and hostile animals such as sharks; or probably by other mean humans. However, very few of us had the opportunity to establish direct contact with those gorgeous animals. By that I don’t mean numerous attractions at aquatic centers and dolphinariums where visitors are amazed by the show of captured and trained animals. I mean the direct contact in the sea, their natural habitat. Everyone who had the opportunity to ‘play’ with real ‘free’ or ‘wild’ or ‘natural’ dolphins would say that such contact was very far from ‘gentle’ and ‘smooth’. After a while I heard about the association that takes care of dolphins in the Adriatic and learned from them lots of interesting information about these wonderful creatures. It is the Blue World Institute of Marine Research and Conservation, very well organized NGO from Veli Lošinj, Croatia. Visit them at www.blue-world.org and get informed about their work. What did I want to say with this post? By growing up I have changed the image and attitude about dolphins and want to share it with you. First of all, dolphins live free in the open sea in constant move; chasing sardines, socializing, mating, rising kids etc. Therefore humans are intruders in their natural habitat and dolphins are not always in the mood to play with intruders. My respect for wildlife, especially dolphins, grew that much that I began shutting down the engine of my vessel if I spotted dolphins on their way. Furthermore, I never tried to attract them by can of sardines or stale bread; I found it unnecessary and stupid. Finally, I found a nice and simple explanation of Adriatic dolphins’ habits and lifestyle along with a list of do’s and don’ts. The English version of the “Code of conduct while dolphin watching” can easily be found at www.blue-world.org/en/dolphin-watching. It would be great if everyone would take the time and read it. Please do not forget that we are guests at dolphins’ backyard.